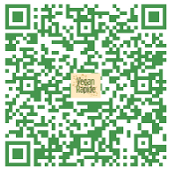 Vegan Rapide offers 100% vegan, nutritious and delicious, homemade dishes. Our seasonal Mediterranean inspired menu will surprise you all year long. We are a vegan family business driven by passion and compassion. We would be pleased to serve you at our location or yours and offer you a delightful experience. Please Note: Delivery may not be possible during exceptional weather conditions.